One of the oldest objects anywhere on Earth is on display in our Touchable Rocks and Minerals aisle. At about 4.5 billion years old, the Nantan meteorite is as ancient as the Earth itself. 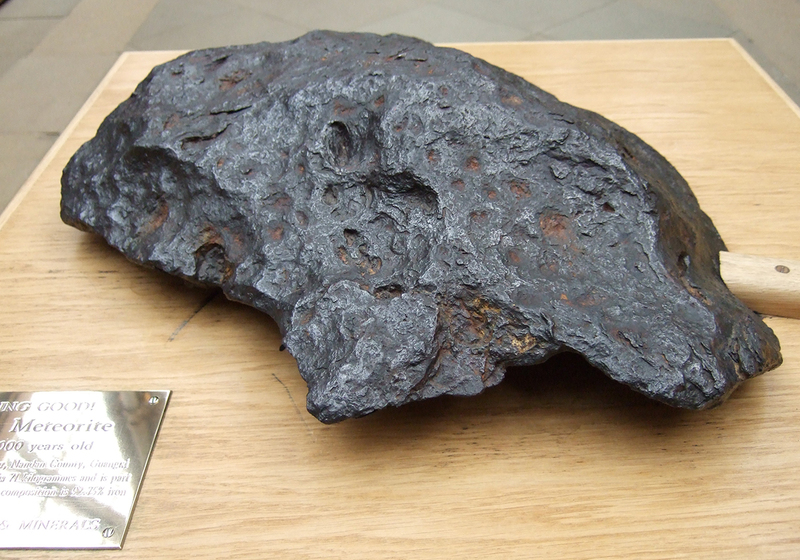 This iron-nickel meteorite is easily one of the oldest specimens in the Museum's collection, and weighs over 71 kg. It is thought that the meteorite broke up as it fell to Earth in 1516, scattering debris over a wide area. This piece was not found until 1958 in Nantan County, Guangxi, China. The meteorite is made of an iron alloy, containing about 6% nickel. It originates from the asteroid belt, a collection of rocky material that orbits the Sun between Mars and Jupiter. The asteroid belt contains billions of asteroids, some gigantic, others as small as a pebble. 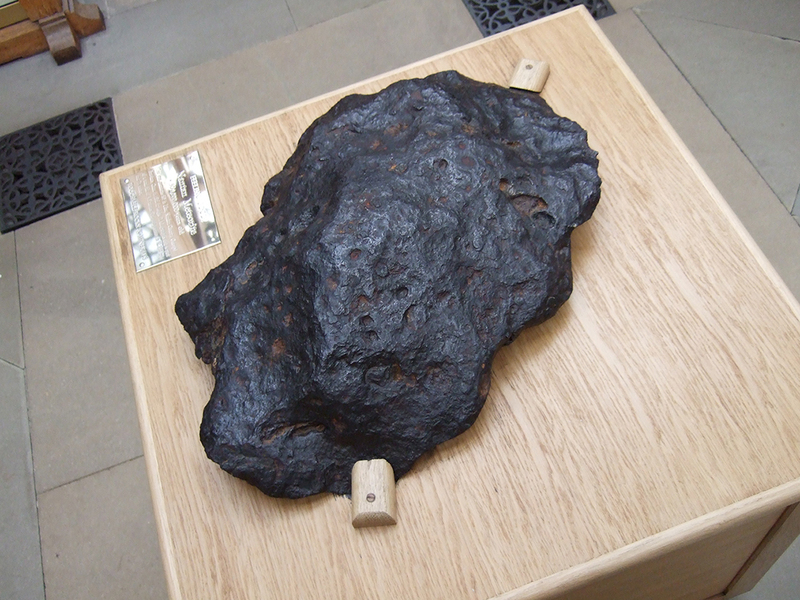 The Museum holds a small but significant collection of over 200 meteorites, some of which are on display in the main court. Meteorites are extraterrestrial rocks that have come from space. Much of the material that enters the Earth's atmosphere is burned up and appears in the sky as a meteor or 'shooting star'. Meteorites are the material that survive this process, but often have a thin crust where the outer layer has melted. Meteorites can be divided into groups based on their composition. The main division is into stony, stony-iron and iron meteorites. Stony meteorites are made of silicate minerals, just like most rocks on Earth, but can contain small amounts of metal (iron and nickel). When this metal makes up about half of the meteorite it becomes a stony-iron, and when it forms almost all of the meteorite, it is considered iron. 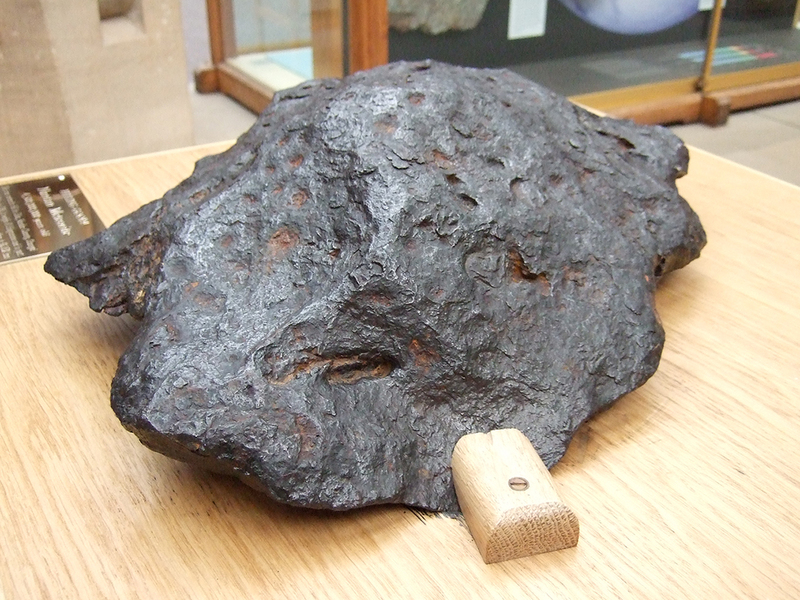 The Nakhla meteorite fell at Nakhla, in Alexandria, Egypt on 28 June 1911. Isotope and trace element analyses have shown that it is almost certainly from Mars. At 9am on 10 September 1813, the residents of County Limerick in Ireland had a bit of a surprise. They heard loud bangs as a shower of meteorites fell to ground. More than 48kg of rock had just arrived from space!